I love kitchens. 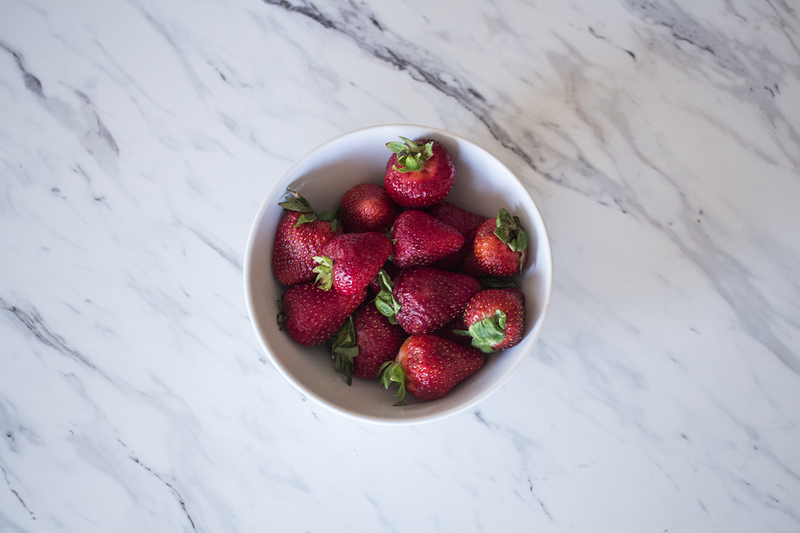 My dream kitchen would have granite or marble countertops, a white farmer's sink, white cabinetry, Viking Stove, stainless steel appliances, gorgeous hardwood flooring, and a vase of fresh farmer's market flowers. This is all fine and dandy…if I made that kind of money. Our kitchen and living room occupy one large space, with our kitchen lining one wall. There is nice storage and cabinets but there was absolutely no where to prep our food or eat. We decided we wanted a kitchen island or bar. That way we could have a space to prep and a place to eat. When look online, there wasn't one island that looked nice and was large enough for what we were looking for, so we decided to make one! 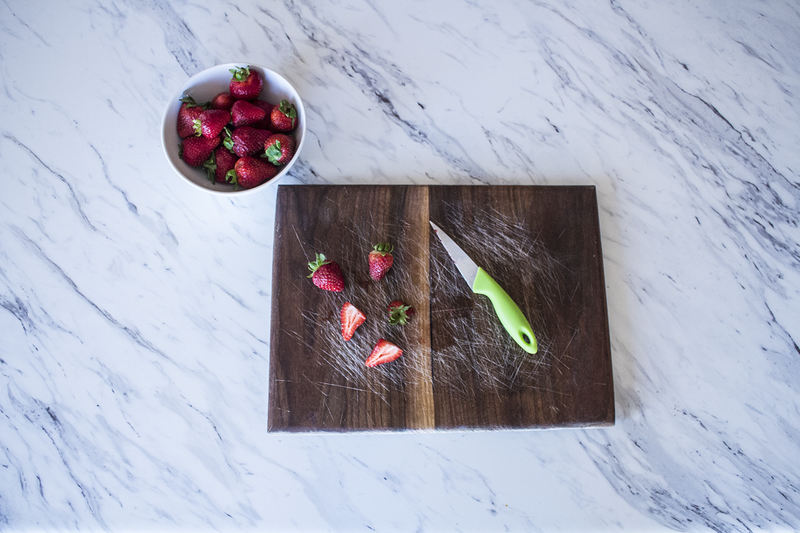 I knew immediately that I wanted the counter to resemble a black and white marble. We took to the Menard's counter aisle and what I found, that was 10x cheaper, was Calcutta Marble! Some people have actual marble, some buy paper that looks like marble, and some (like me) buy fake marble that looks real. 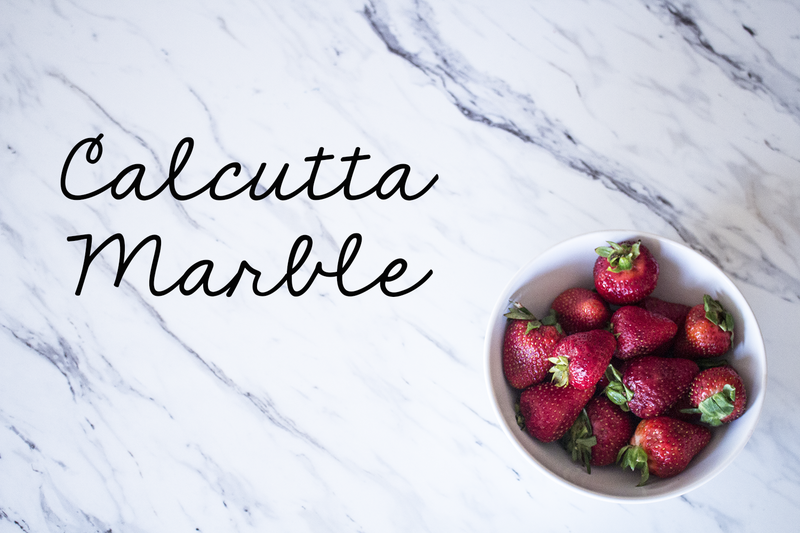 For now, this Calcutta Marble will do. I love the black and grey veins and it looks so nice in our loft. Looks like real marble, right? (Well, as real as it will get.) We had the top to our island made which cost around $100 (the length is 6 feet). And the bottom, Adam and his dad put together, all that's left to do is stain it! I love having a place to prep food, somewhere to sit and eat, and someplace where I can host a get together…because there is actually space! I think it also gives off a high end feel, without the price tag of actually being high end. 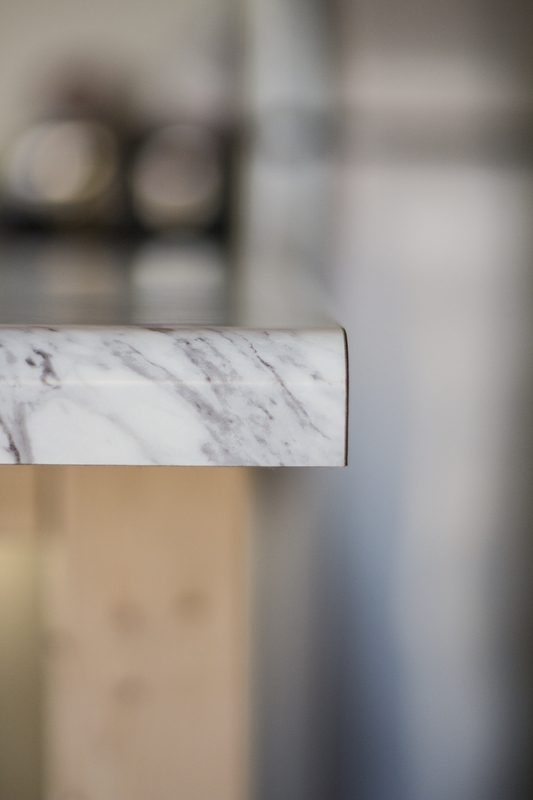 What do you think of the Calcutta Marble, to faux or just right?